A wireless device that securely and privately transmits your vehicle's speed and location to other vehicles in the immediate area. 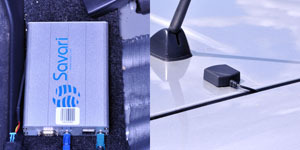 To the right, a VAD is shown installed under a vehicle seat, and a GPS antenna mounted on paint-protective film above a trunk lid. 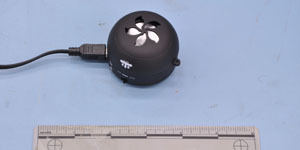 Similar to a VAD, but it also receives speed and location data from other vehicles. It uses information about the position of other vehicles to provide drivers with audio warnings if the threat of a crash exists. 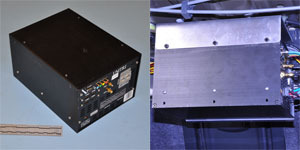 Installation is nearly identical to a VAD, but includes a small hidden speaker for audio warnings (shown right). In addition to an ASD, a DAS collects video and data on driver performance so researchers can learn how drivers interact with the ASD and how they respond when crash warnings are presented. Data is kept for researchers only. To the right, a DAS unit is shown outside a vehicle, and installed in a vehicle's trunk.